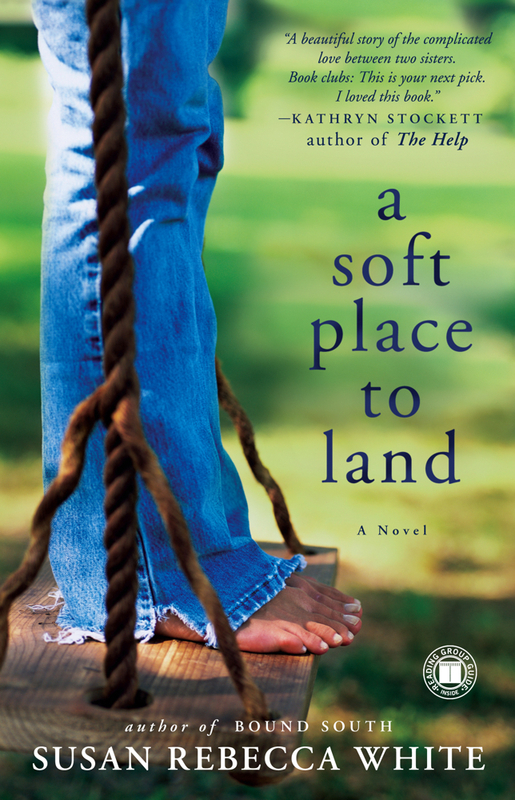 In Susan Rebecca White’s A Soft Place to Land, two sisters growing up in an upper-middle-class Atlanta family are shattered when their parents die in a plane crash. But the death is only the first loss. Since Ruthie and Julia are, in fact, half sisters, Julia being the child of their mother’s brief first marriage, the custody arrangement in their parents’ wills forces them to be separated. Julia goes to her birth father and his wife in a small southeastern town, while Ruthie ends up in San Francisco with an aunt and uncle. The sisters, though four years apart in age, are very close, and not having each other to help them through the trauma of their parents’ deaths is devastating. Ruthie, who is about twelve when her mother and father die, seems to fare better; she comes to love her aunt and uncle and their lives in San Francisco, to the extent that years later, when she ends up back in Atlanta, she feels like an outsider. Julia has the more difficult time; her father’s wife is a conservative Christian who is determined to do right by the free-spirited teenager but obviously doesn’t like her much. Julia goes from rebelling in small ways, as she did while her parents were still alive, to rebelling in bigger and more dramatic ways. She eventually ends up in rehab – a horrific, abusive fundamentalist rehab for troubled teens. In a strange way, rehab does provide her salvation, though not in the way it’s supposed to: Julia survives, goes on to college, and writes a best-selling memoir about the harrowing experience. All seems to be well – until Ruthie reads her sister’s tell-all memoir. While grief and loss are central to this novel, the main focus is on the relationship between the two sisters – the way being forced apart hurts them both; how their closeness is shattered by Julia’s apparent callousness as an adult; how they finally make room for peace and forgiveness in their lives. Susan Rebecca White is brilliant at portraying tiny details and small moments that reveal so much about characters, and these characters feel absolutely like real people – so real that you miss them when the book is closed. This is timely … I have this book checked out from the library and when I plunged in to read, it just didn’t capture me. Maybe I need to persist and grab it back from the return-to-the-library pile. Well, it’s always a matter of different tastes, so it might never grab you, but I liked it a lot. I loved this book! I thought she did a great job with the different family dynamics and exploring the love/hate relationship between two sisters.